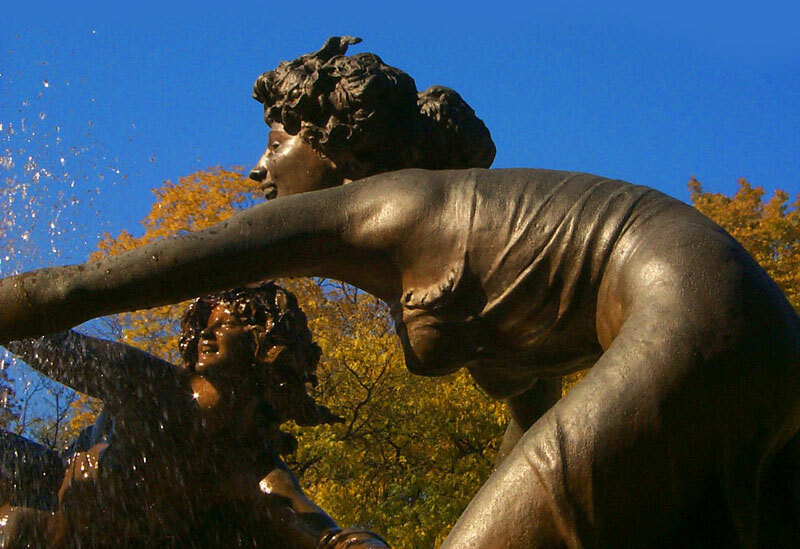 Miami In Focus Photo Gallery of the Untermeyer Fountain E105 in Central Park. 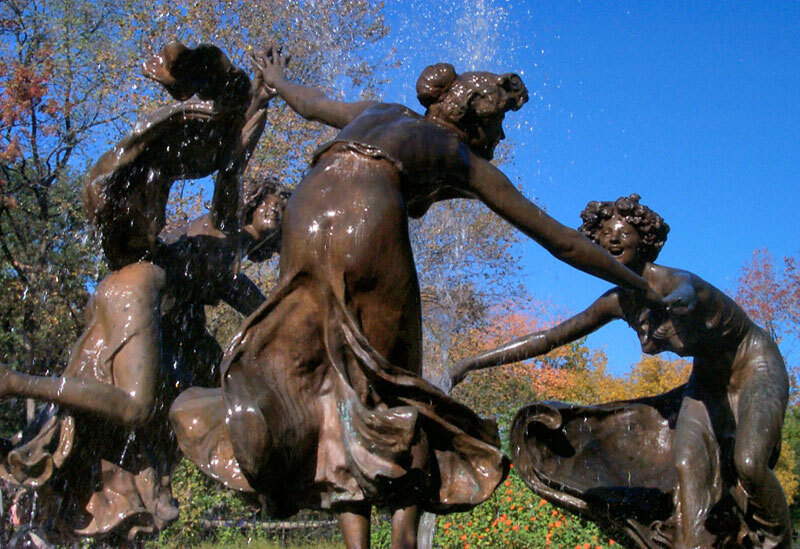 Located within the center of the North Garden at the Conservatory Garden stands the bronze Untermeyer Fountain, known as the "Three Dancing Maidens." 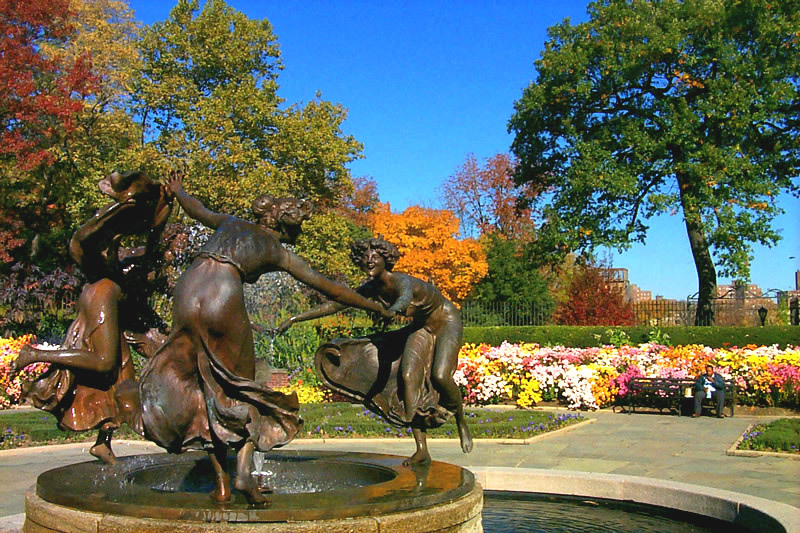 Three smiling young woman dance around the limestone base of the fountain as they playfully reach for each others hand. The delicate water sprays their bodies while their dresses swirl about as if in motion. 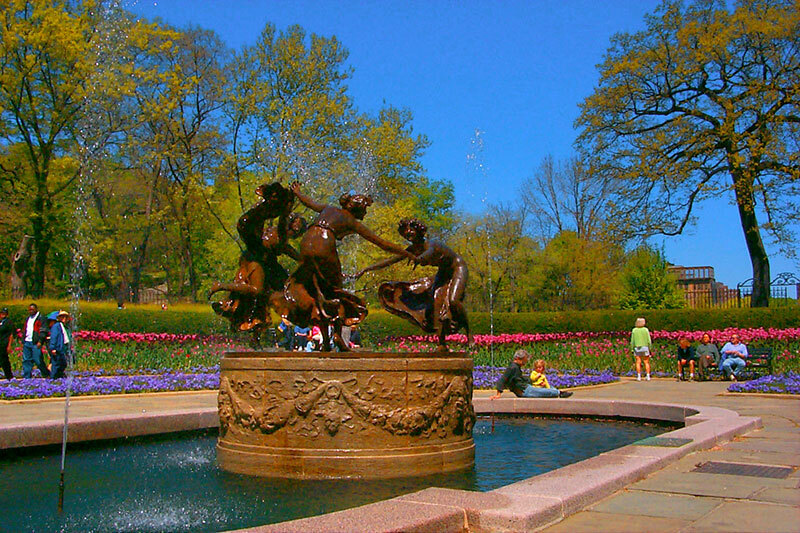 It was sculpted by Walter Schott in 1910, and came to the Garden as a gift of the Samuel Untermeyer Family in 1947.